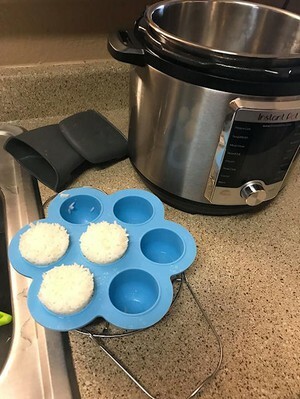 Put about a cup of water in the Instant Pot with the trivet. 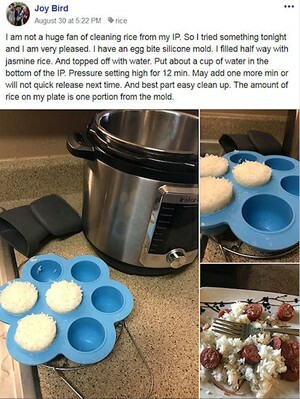 Fill mold sections half way with rinsed Jasmine Rice. 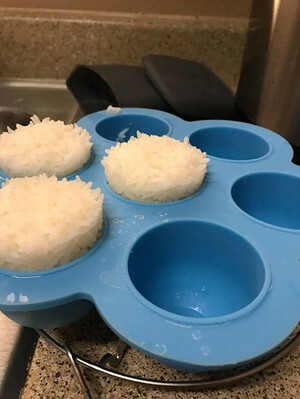 Add water to sections until filled to top. *I may add one more minute, or will not quick release next time. 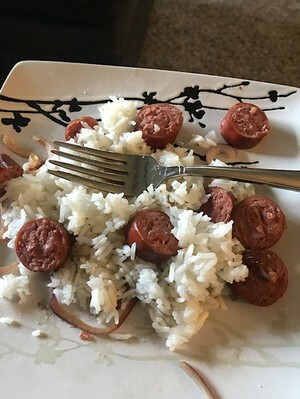 The amount of rice on my plate in photo is one portion from the mold.